Lynden International and Lynden Transport have combined offices in Dallas to offer customers a total transportation solutions package. Lynden International is a full-service freight forwarding and logistics company and Lynden Transport provides truckload and less-than-truckload (LTL) services throughout the Lower 48, Alaska and the oil patch areas of Western Canada. Lynden International announced the promotion of Kyle Fisher to District Manager at the Dallas Service Center. Fisher will develop domestic and international business and manage sales and operations for the freight forwarding company. A seven-year veteran of Lynden, Fisher was previously Service Center Manager at Lynden International's sister company, Lynden Transport, in Kenai, Alaska. In 2011, he was named to the "Top 40 under 40" list (page 18 of the PDF) of noteworthy young professionals in Alaska. Fisher was elected to the Soldotna City Council, served as the President of the Kenai Chamber of Commerce, the Vice President of the Kenai Watershed Forum and was Vice President of the Kenai Chapter of the Alaska Support Industry Alliance. "We're excited to have Kyle on board in Dallas. This is a market with tremendous potential for oil and energy, and Kyle's background in Alaska fits well with our strategic direction there," says Dennis Mitchell, Lynden International Vice President Oil and Gas. 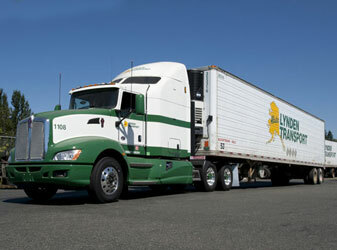 "Kyle's experience at Lynden Transport will have a positive impact on our success in Dallas." "I look forward to the opportunities the market holds for Lynden International in Dallas as well as getting to know the experienced staff," Fisher says. Billed as the newest voice in Texas music, Lynden International Import Agent Carl Fendley spends his days coordinating imports at the Houston station and his nights playing area clubs like "Numbers." His first single, "Best Part of Me," is in rotation on internet radio stations and is available on itunes, Amazon and Napster. 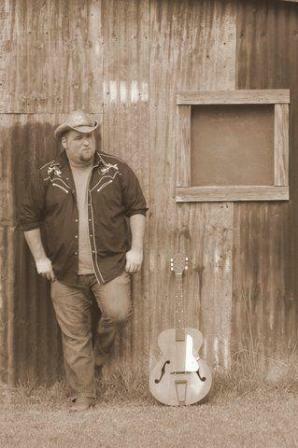 Carl's music is a mix of honky tonk with a laid-back island sound. He celebrates two years with Lynden next month and says, "I have been truly blessed since I have been at Lynden with the birth of my twins last year and a great supervisor in Vickie Gould." Carl grew up in the small Texas town of Cleveland and taught himself to play guitar at age 7. In his teen years he played the local club circuit of Houston in a rock band. After the band broke up, Carl went to community college followed by a year off to work in the oil fields. He later joined the U.S. Army and it was during his four-year stint that he started to write songs. After his discharge, he got together with his old band and formed "Solid Oak," an acoustic alternative rock band. In the following years, he played in other bands and is now trying to make it on his own as a professional songwriter. 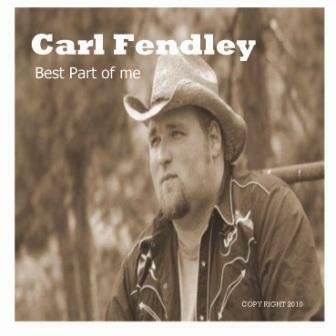 Listen in on Carl's website, www.carlfendley.com. Carl and his wife, Amie, celebrated the first birthday of their twin son and daughter, Jagger and Jules, on April 27. Carl also has three stepchildren, Alex, Kyle and Lillie. "I just sent three demos to a Texas record label, but I'm taking things slow," he says. "My twins just turned one, and my duty as daddy comes first."